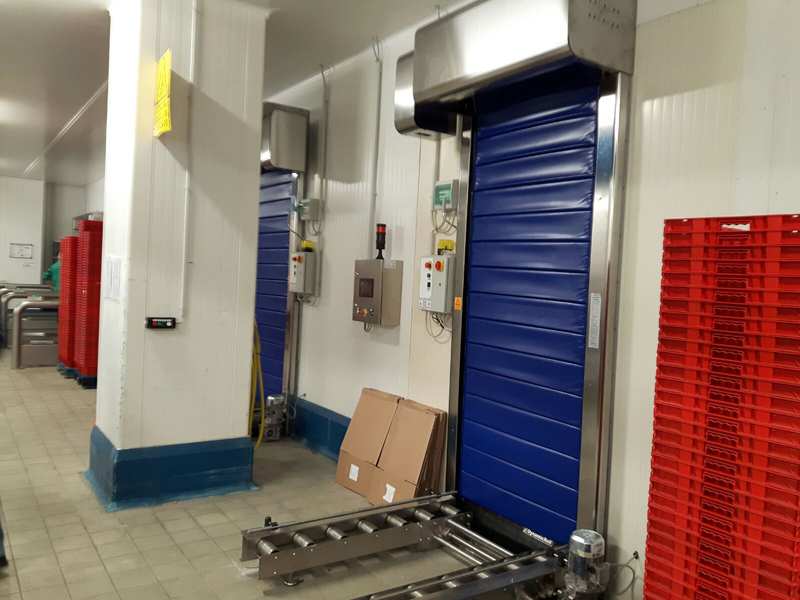 Frigo 1 Inox flexible and self-repairing roll door is a different version of our DynamicRoll Industry door and is specially designed to meet the needs of the industrial refrigeration sector. 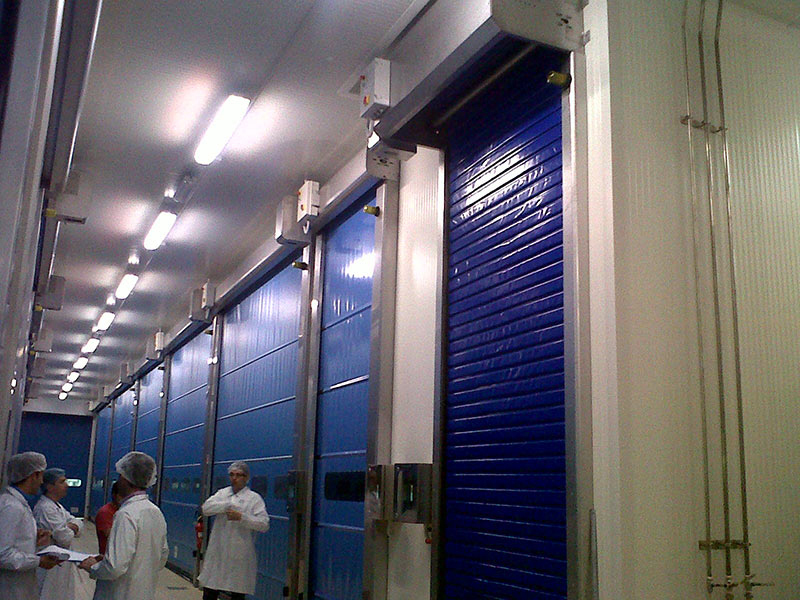 This door facilitates transit operations between areas characterised by different temperatures (refrigeration and room temperature), and ensures a high degree of thermal insulation. It is a flexible high-speed door,made of insulating panels with a good thermal transmittance, to avoid heat dispersion. It also ensures maximum safety, thanks to its Anti Crash monitoring system, while the frequency converter makes it possible to adjust opening speed and slow down closing operations, so as to reduce the risk of impact.